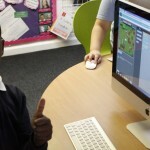 Year 4 Robins today took part in some Minecraft coding. 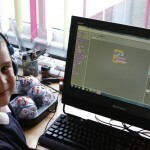 They used coding blocks to take take Steve or Alex on an adventure through the Minecraft world. 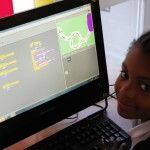 The children learned about algorithms and the importance of debugging – fixing the code, it it’s not working correctly. Circle Time with Miss Detheridge and Mr Koeri. 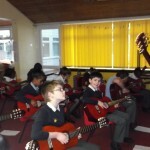 Year 4 Robins all agreed that playtimes have been much better this week. 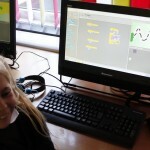 Everyone is happy that they are getting along and playing much more nicely with each other on the playground. 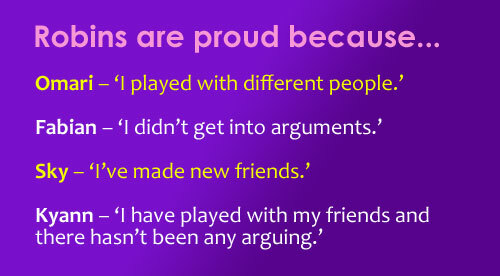 These are things that Robins are proud of this week. 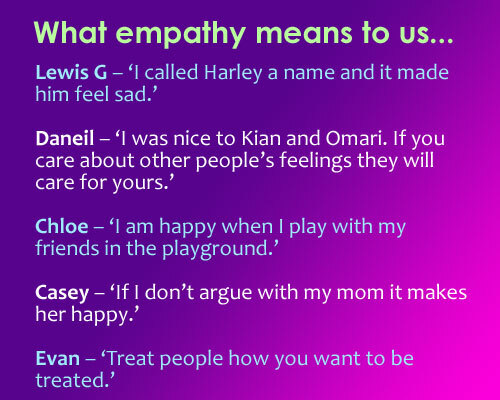 The Robins then discussed empathy and what it means to them. They talked about how being unkind to someone can hurt their feelings and that they should always try to think about how they make other people feel, whether it is a good feeling or a bad feeling. 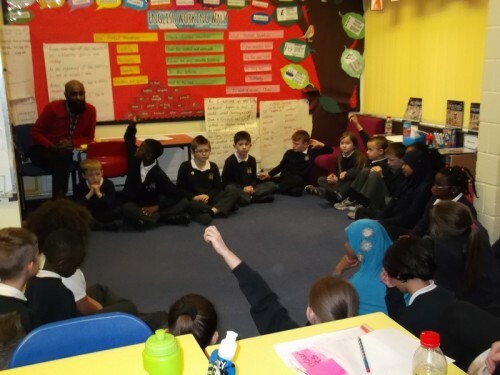 The Robins agreed they have made progress and they will continue to think about how their actions affect those around them. 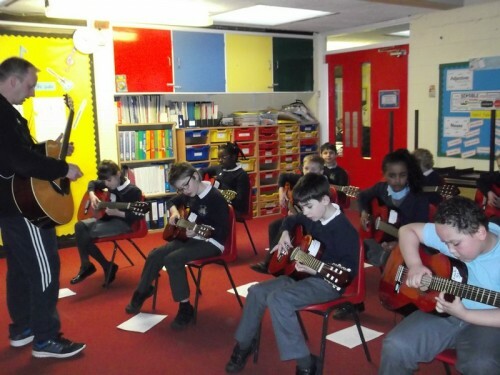 Over the last few weeks Robins have had some great guitar lessons with Mr Gill they have learned a salsa and a police siren piece. 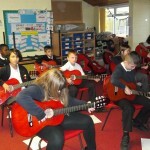 They are now working their way up the fret board and extending their Spanish piece. 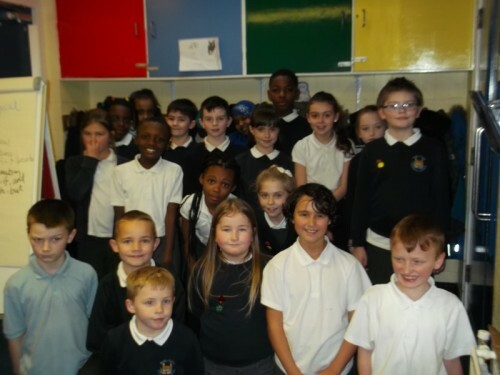 Well done to all these Robins who completed their number clubs today. 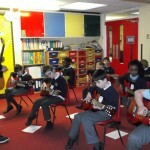 A fabulous number of children especially in Maths Week! 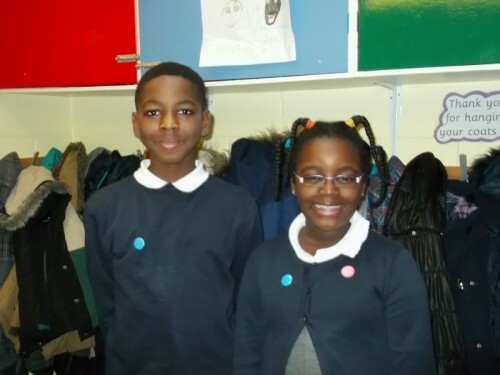 Congratulations to Wana and Hanson for being the first two Robins to receive their blue behaviour badges. 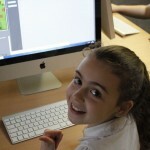 Year 4 are enjoying their Stone Age topic this term. 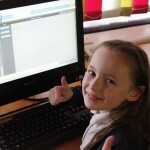 We have already learnt about how different their lives were from ours and we have been fascinated with their daily life. 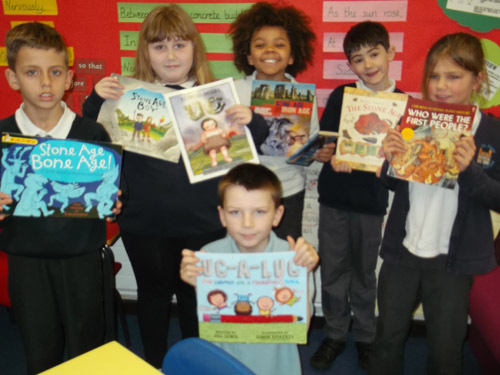 To help us with this topic, we have been watching lots of Horrible Histories clips and reading a selection of books to find out about this time. We are also reading Stig of the Dump by Clive King in class so that we can make some links with our topic. 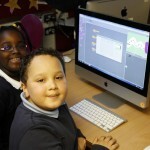 I’m sure that the children will be able to tell you lots of different facts if you ask them. 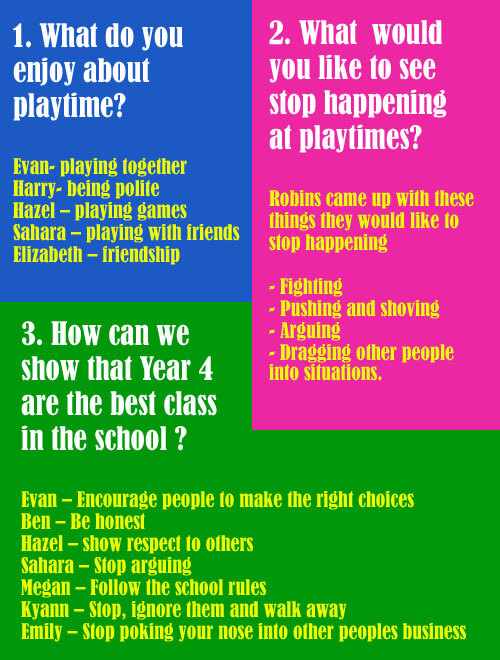 During Circle time today with Mr Koeri, the Robins discussed how they could show good teamwork. 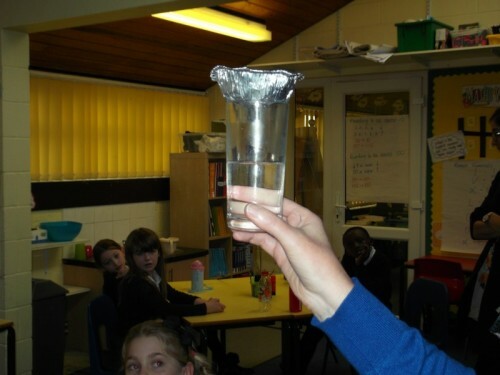 During Science today with Mrs Knipe, Robins were learning about the water cycle. 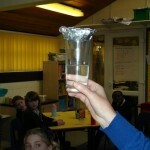 Mrs Knipe did an experiment using a glass of hot water with a tin foil container full of ice cubes on the top of it. 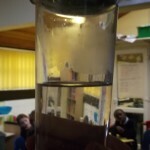 The outcome of the experiment was that condensation formed in the glass. This happened as a result of the heat turning the liquid into a gas which created a ‘cloud’ as it hit the cold tray of ice cubes and formed condensation. 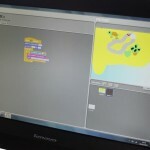 Year 4 Robins have started to work to create a car game in Scratch. 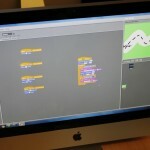 Mr Baddhan has asked the children to use the understanding from previous lessons to create a background and track then start programming their car to move from the start line to the finish line. 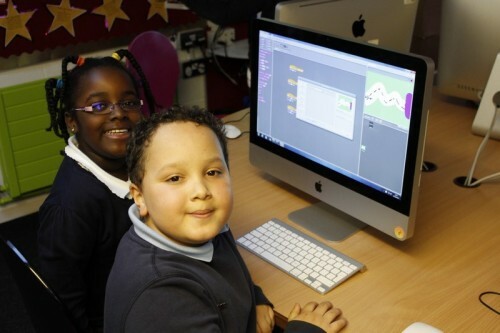 The children will need to use an “If” command so if the car touches the grass area then the game will restart. 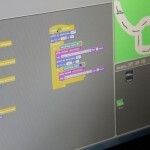 If the player reaches the finish line then the game is complete.